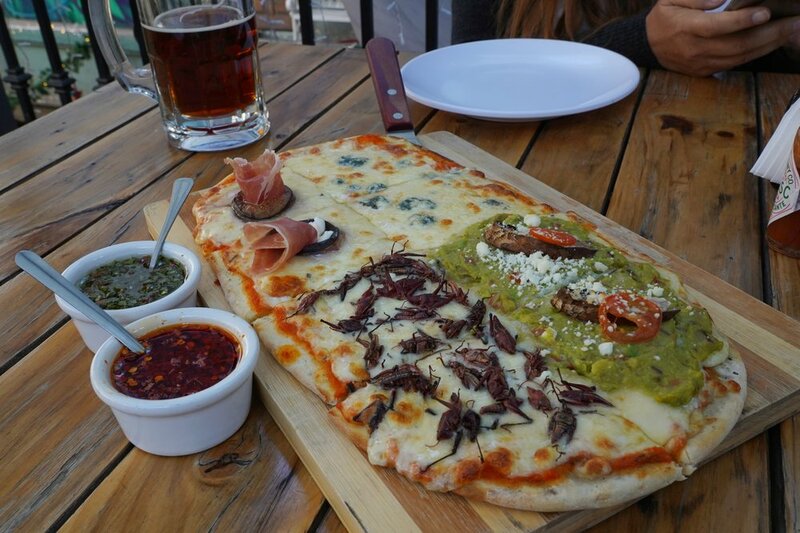 Amira and I stumbled across a pizza joint in Mexico City serving a variety of toppings, including grasshoppers! I had to try it! Grasshoppers, specifically chapulines (from the Nahuatl word chapolimeh), have been consumed in Mexico for millennia before the Spanish era. They’re often eaten in traditional ways, like roasted and flavored with chiles. 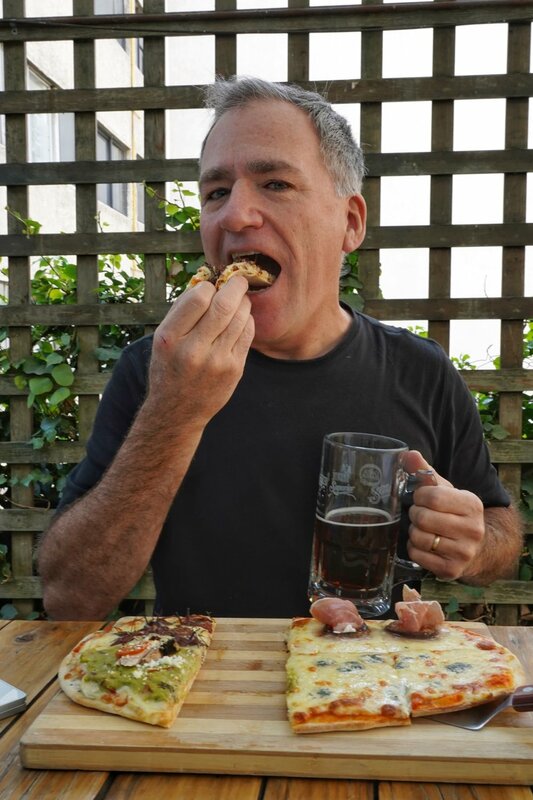 You can find grasshopper foods all over the Roma neighborhood in the Cuauhtémoc borough of Mexico City, which is also where I ran across this pizza joint. The worst part of eating grasshoppers was that Amira wouldn’t kiss me for the rest of the day. Follow along with our travels!